I needed a landscape photo of a foggy forest on sunny day, where beams of sunlight were streaming through the trees and creating beautiful sun rays. The only problem was that it was summer and there was no fog to be had. So I decided to rent a fog machine and see if we could make enough fog to simulate real fog. For this task I enlisted the help of my friend Chris Collacott, and together we created a pretty cool image. Here is how we did it. Lenses fogging up usually isn’t a big problem for me here in the UK. But it is a problem I’ve faced while shooting in warmer climates. You go from a nice cool air conditioned building to the hot and humid outdoors and there it goes. Within 10 seconds, your lens is virtually impossible to see through. If your lens is weather sealed, it’s just a waiting game for it to clear up. If it’s not, you can face long term consequences. This two minute tips video from David Bergman offers several ways to prevent fog on your lenses when you change environments. Have you ever come across an image where the sun is perfectly casting its light down through the trees to illuminate a thick blanket of haze? What if you could somehow achieve that look without relying on mother nature to summon up a blanket of fog? 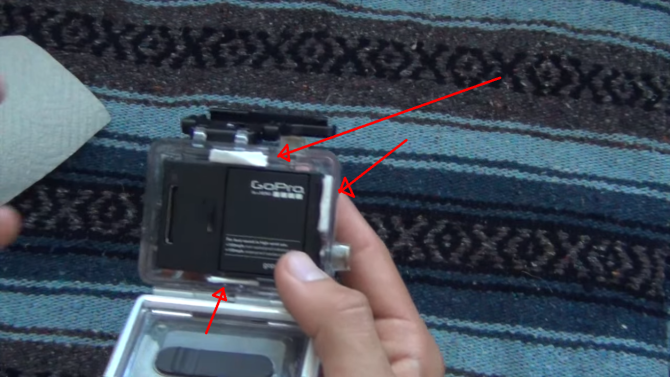 If you engage in any water activity with a GoPro (or any other action camera for that matter), you know that condensation will build up quite quickly on the inner side of the case. This is because of the temperature drop that chills the water vapor trapped in the case. You can shell out the $15 for the official GoPro Anti-Fog Inserts, or as Ho Stevie suggests, make your own inserts for…. nothing.